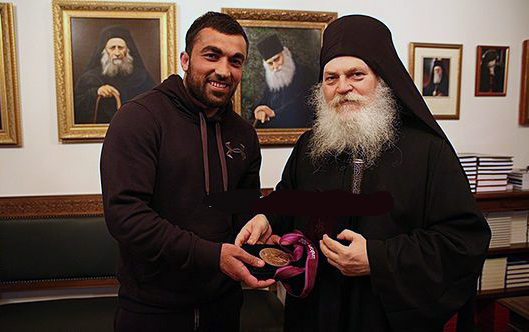 On March 27, the Olympic champion Ilias Iliadis visited the Vatopedi Monastery on the Holy mountain of Athos where during his meeting with the Monastery’s Superior, elder Ephraim, he gave his Olympic medal as a gift to the wonder-working Icon of the Mother of God Paramythia (“Exhortation”, “Joy and Consolation”), reports Agionoros.ru. Ilias Iliadis was a champion at the Olympics in Athens (in 2004). 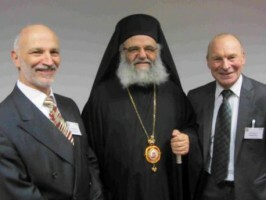 In 2012, at the Olympics in London, the Greek judoist won the bronze Olympic medal and pledged to make a gift of this award to the Icon of the Mother of GodParamythia. Right after his victory in the struggle for the bronze prize, Ilias Iliatis proclaimed: “I praise God! 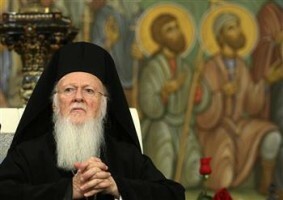 This medal will go to the Holy mount of Athos”. 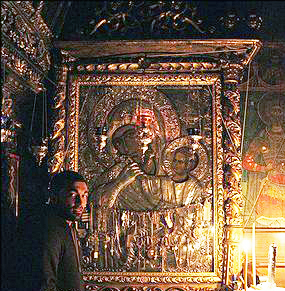 It should be noted that Ilias Iliadis had visited Vatopedi Monastery several days before the beginning of the Olympic games. He asked for a blessing and prayers from Archimandrite Ephraim, the Superior of the Monastery. “The elder’s support will help me during the Olympics a great deal,” the athlete said then.